Our company is involved in providing superior grade lithium aluminum hydride. 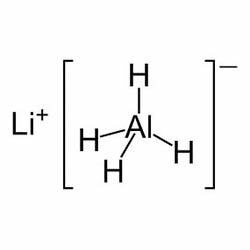 This lithium aluminum hydride is precisely composed by using excellent quality lithium and aluminum. Our product range is checked under various set quality parameters. 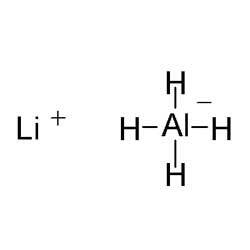 Lithium aluminum hydride is usually abbreviated with LAH and extensively used as a reducing agent in organic synthesis. We are engaged in offering superb grade of lithium aluminum hydride fine crystalline. 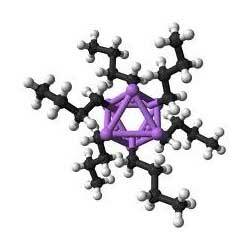 This lithium aluminum hydride fine crystalline is highly reactive with water and gaseous hydrogen. Furthermore, it is used in different reactions for reducing carboxylic acids, esters and amides. Lithium triethylborohydride is extensively used in different industrial applications as a strong reducing agent. 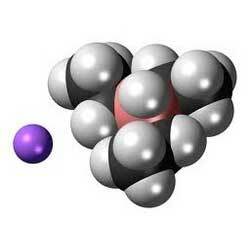 It is considered stronger than of lithium aluminum hydride (LAH). Furthermore, our product is basically lithium triethylborohydride, typ. 20 % solution in THF (Typ.1.7M).